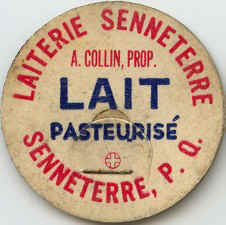 With a total of two routes to serve the population of Senneterre and it's surrondings, a small dairy began operating in 1951, founded by Arthur Collin. 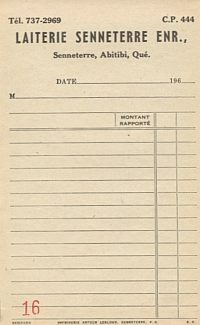 Shortly afterward, the service was extended to all the small communities along the railway line between Senneterre and Parent. 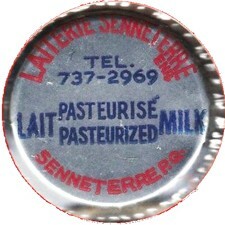 On june 12, 1961, the dairy was purchased by Mr. Louis-Marie Martin. 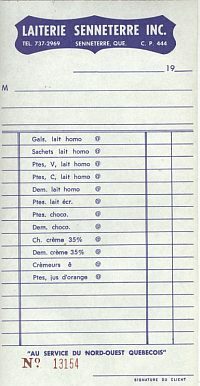 That same year two small routes were added to cover "Barraute" and "Rapid des Cèdres and Miquelon". 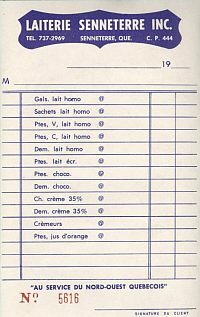 The arrival of the new Domtar plant and the construction of a new community "Lebel sur Quévillon" in 1963 gave the dairy a steady growth. 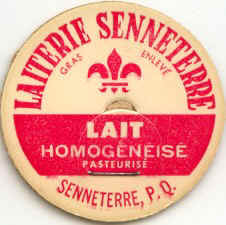 An agreement reached in 1972 between the dairy and a large grocery store operation under the name of "Montemurro" made padteurized milk available in Val D'Or and Rouyn, making it more competive with other dairies in the region. 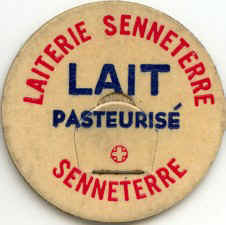 In 1973, tense negociations took place between "Senneterre Dairy" and "Société Coopérative Agricole des Laitiers du Nord-Ouest", but the two parties were unable to come to an agreement. 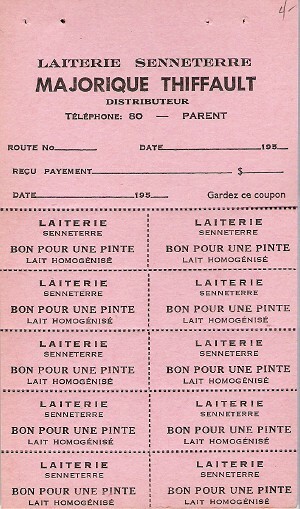 Later, in 1974, a purchase offer was received from "Dallaire Dairy" of Rouyn. 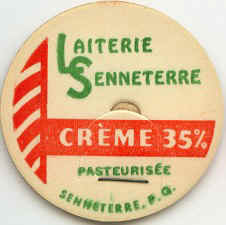 This was accepted and in April of that year all operations ceased under the name of "Laiterie Senneterre". 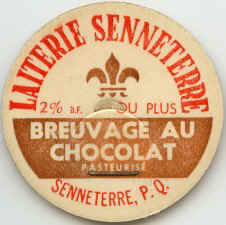 Majorique Thiffault was selling Senneterre Dairy products.